Over the last year, our writers have tested a bucketful of bikes, a barn load of clothing and gear, and attended a bookcase full of cycling events. Which of these, though, have tickled their fancies enough to warrant the bestowing of a coveted Singletrack Editors’ Choice Award? Over to Andi! Over the past twelve months we’ve endured Snowmageddon where my local trails turned into ten-foot tall snowdrifts, then the weather changed and we received one of the longest and most glorious summers the UK has enjoyed for years. What this has meant for my riding is that all those skills I developed over the winter have been completely forgotten, thanks to our dry and dusty summer. I’m back to square one on muddy slopes, I’m slipping down trails backwards, skipping off roots and crashing into everything and everyone on the trail. Thankfully I have a 360 camera to record the carnage, a full-face helmet to protect my noggin, a bike to ride, and shoes that grip as well off the bike as on. Good times! I remember back in the early ’90s when I used to look at stereos and cassette players. I’d always be lured in by those models with graphic equalisers, dials and levels for bass and treble, the more buttons the better. It took me a while to realise that I was a bit of a tech nerd, but after a decade in China reporting on the emerging smartphone market I had come to terms with my dirty secret. So, who else in the office was going to geek out over a new 360 camera from Insta360? 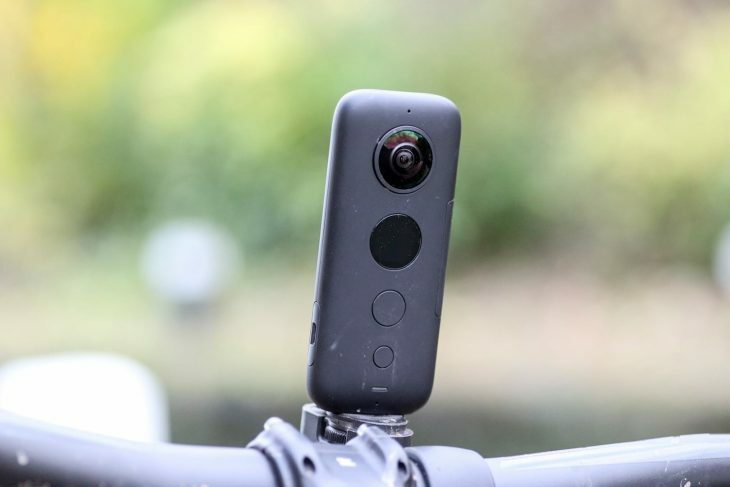 The ONE X isn’t Insta360’s first attempt at a 360-action camera, but it is the most technically advanced, and the camera that is redefining the action camera market and pushing more hurt onto GoPro. This little camera does a lot more than simply filming a sphere of video, it creates perfect stable action video, can create multi-angle video from a single shot, and will actively track objects in frame. Its 2×18-megapixel sensors shoot video at up to 5.7K and once imported to your phone you can add cool effects like slow motion or Flowstate image stabilisation. Oh, and best of all you can plug it into a ball and throw it around too. A favourite out of many tested. It feels like 2018 was the year of flat shoes – well perhaps not, but I seem to have tested quite a few sets from lots of different brands from Giro, and Pearl Izumi to Five Ten, but the pair that really stood out for me was Bontrager’s Flatline shoe. Launched earlier in the year, the Flatline looks like your traditional skate sneaker. The synthetic leather upper has proven to be hardwearing and durable even after months of daily abuse, and I love the bright red finish (also available in black). Bontrager uses a sticky Vibram Megagrip rubber compound on the outer sole. 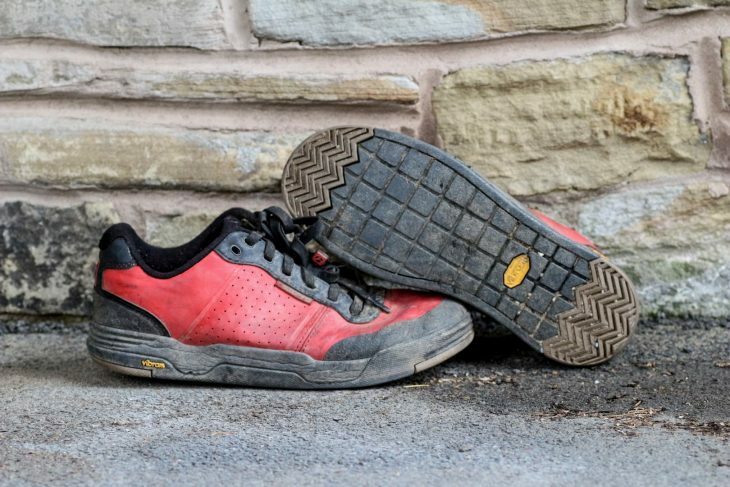 The rubber is set out in chunky blocks and while not as unshakable as Five Ten’s famous Stealth compound, it has proven to offer me enough grip no matter the bike or terrain I ride on. What I really appreciate is the low height and thinness of the sole – it’s just enough to give you useful feedback through the pedal while remaining comfortable enough to absorb trail shock. Even box fresh the Flatline is a comfortable shoe with no annoying pressure points or rubbing. The inside of the shoe is wide and spacious, again great for comfort but also for allowing the circulation of air through the shoe. If there was one area I would have to complain about it would be the length of the laces and the lace retention loop – if Bontrager sorts these items out for 2019 then I’ll probably choose them again for next year too. Saved Andi’s pretty face. Which is a good thing. 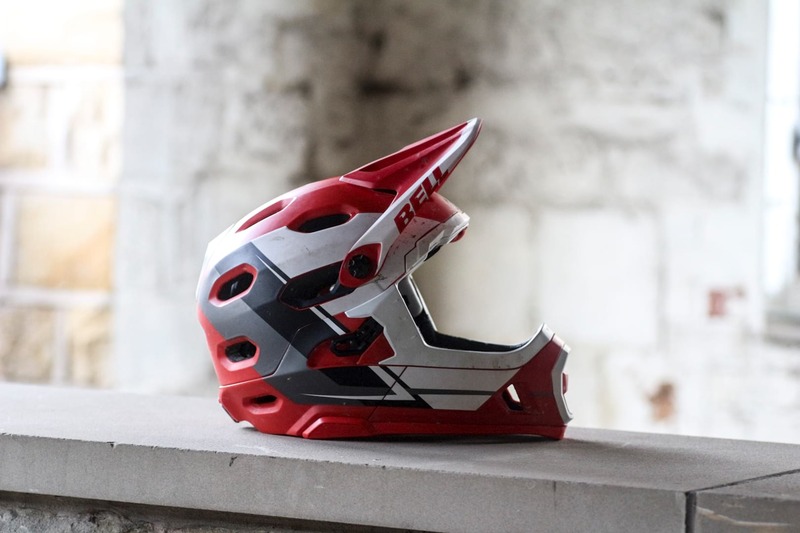 I’ve not been one to wear a convertible helmet before, but when Bell released the Super DH MIPS with added DH-certification, I was pretty intrigued. At £249.99 it’s not exactly cheap, but then again you are getting two helmets that you can use for downhill racing, enduro and general riding, not to mention all of the clever safety features all wrapped up in a smart design. The chin bar snaps in place with three tool-free latches and once in place it cannot move. In fact I recently ‘tested’ the chin bar on a recent bike launch where I landed with the full force of my body on it. It didn’t move and my face is still in one piece, and as you can imagine I’m pretty happy about that. I love the MIPS Spherical system – sure it increases the overall size of the helmet, but it offers added protection from twisting forces over a regular MIPS helmet without feeling loose or wobbly. The Bell Super DH MIPS helmet is now the lid I reach for more than any other, and although I already have one, I’d be more than happy if anyone bought me an extra one for Christmas (hint, hint), perhaps the Berry Blue and Gloss Black model, size M/L. Andi was a fan of this black beauty. 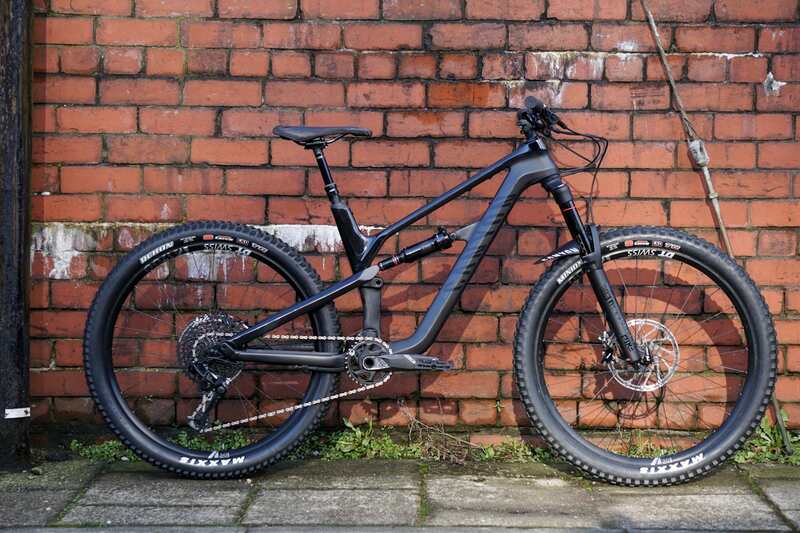 When Jack from Canyon arrived at the Singletrack offices earlier this year he brought with him a stealth black Canyon Spectral for Chipps to test, but poor Chipps didn’t get to test it… I did. 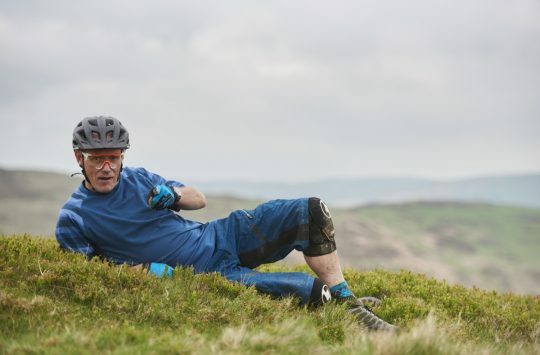 Once I set my sights on the all-new Spectral with updated three-phase suspension and carbon mainframe there was no way I was going to let anyone else ride it. Not only did the new Spectral look the part, but it rides amazingly well too. 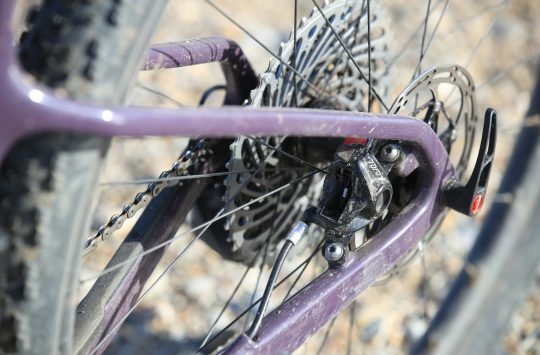 It was a bit of a revelation as normally I’d either ride bigger travel bikes, or steel hardtails, but the Spectral offered the best of both worlds. Screaming fast on the climbs, stable and fun on the downs, and playful on the in-between bits. Cap all this off with bang for your buck pricing and it’s no wonder the Canyon Spectral has been a sellout success for the German bicycle maker. The Spectral did prove to be a little too spritely for me though and the black stallion bucked me off during a photo shoot. My ribs eventually recovered, but I’ve still haven’t gotten over just how good the new Spectral is. 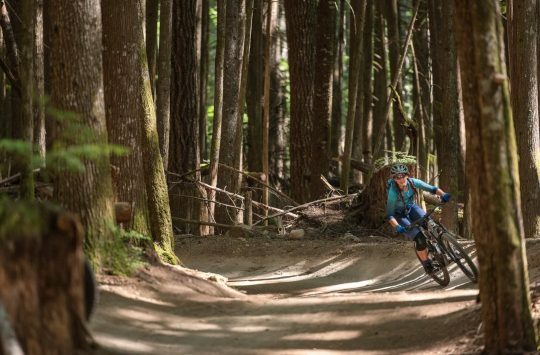 Video: Shifting Perceptions - A new dawn for women's MTB?